I absolutely love decorating my home for each season. 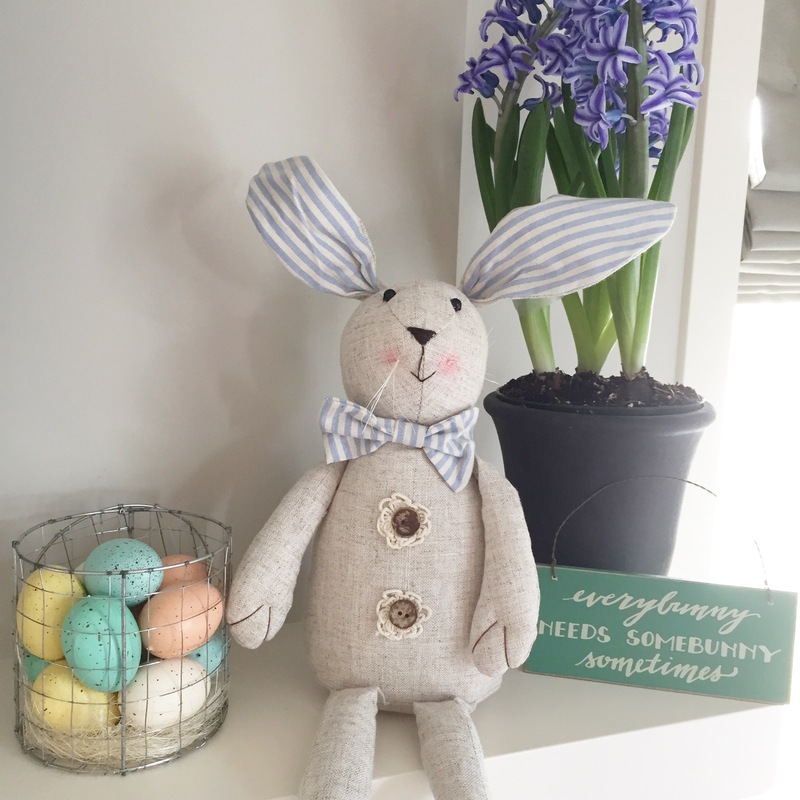 With spring in the air and Easter just around the corner, I thought I’d share my 5 easy decorating tips for spring that can make a big impact in your home. 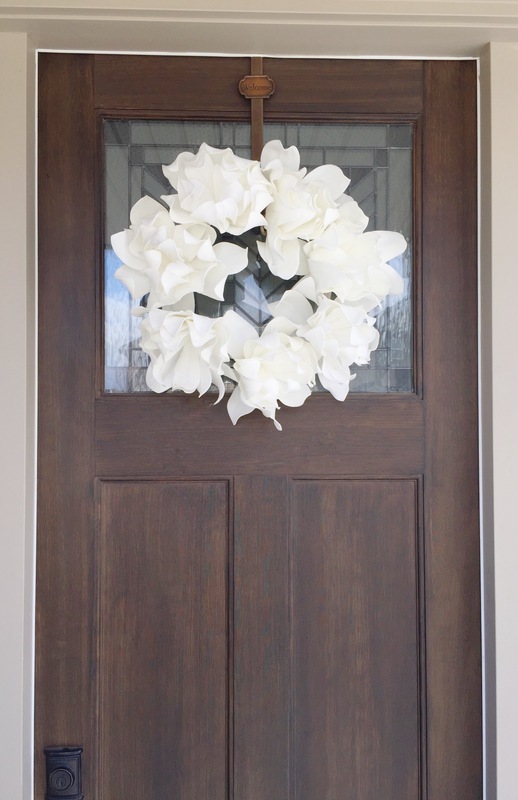 The easiest and quickest way to decorate for spring is by adding a wreath to your front door. It’s such a pleasant way for your guests to be greeted and to warm up the entrance to your home. 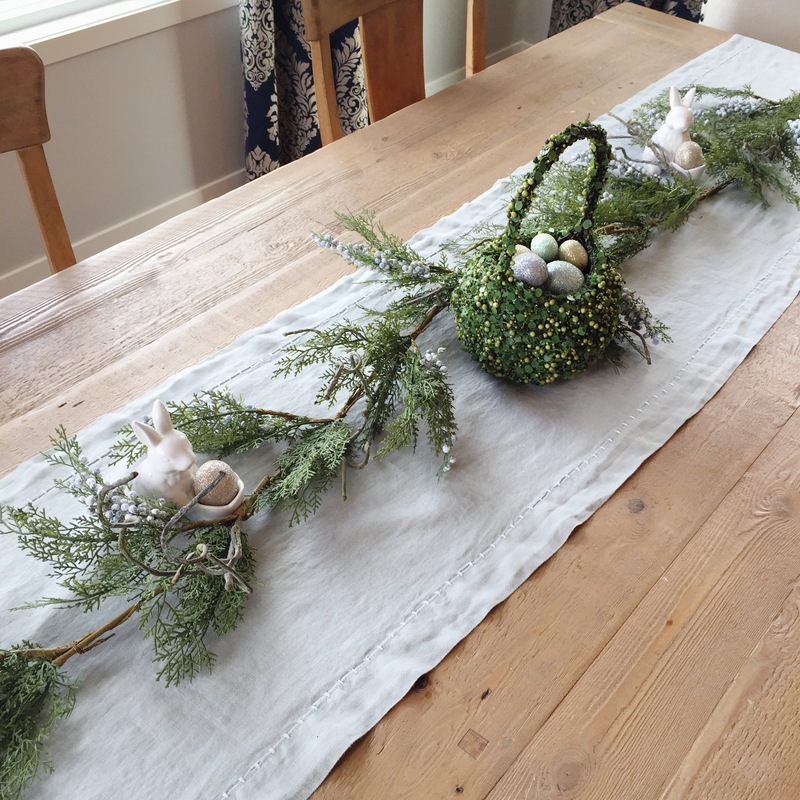 I recently just tossed out a couple of my old spring wreaths from general wear and sun dye, so this year I was on the hunt for a wreath under $50. 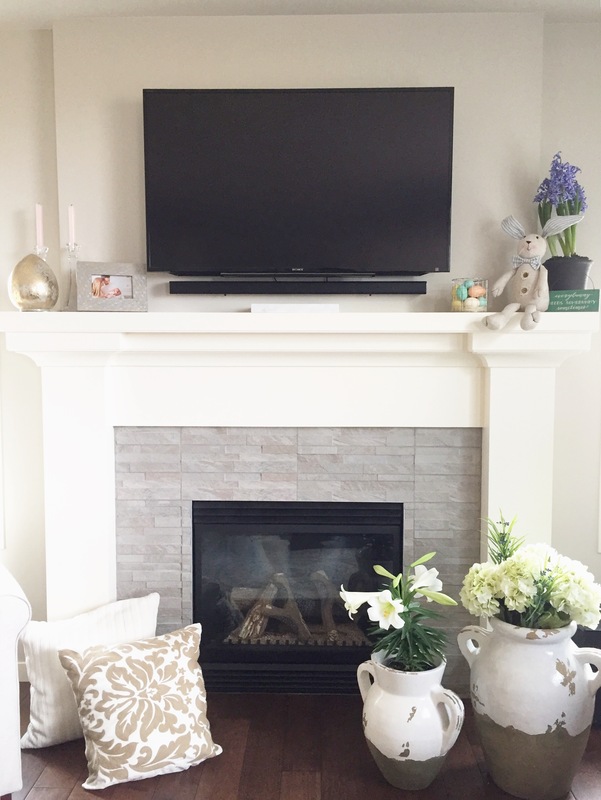 I decided to go simple and classic with a white coloured wreath that I picked up from Winners for $29.99 CAD. My ‘Welcome’ wreath hanger is from Target. Shop Smart Tip: I try not to spend over $50 on a wreath unless it’s something I can’t stop thinking about. But as you know from previous posts…I’m not a huge DIYer either. So much respect to those who buy all the supplies and craft a masterpiece. When purchasing a wreath, my go-to locations are: HomeSense ($), Winners ($), Canadian Tire ($), and Crate & Barrel ($$$). When Target was in Canada…obviously it was my first and only stop. 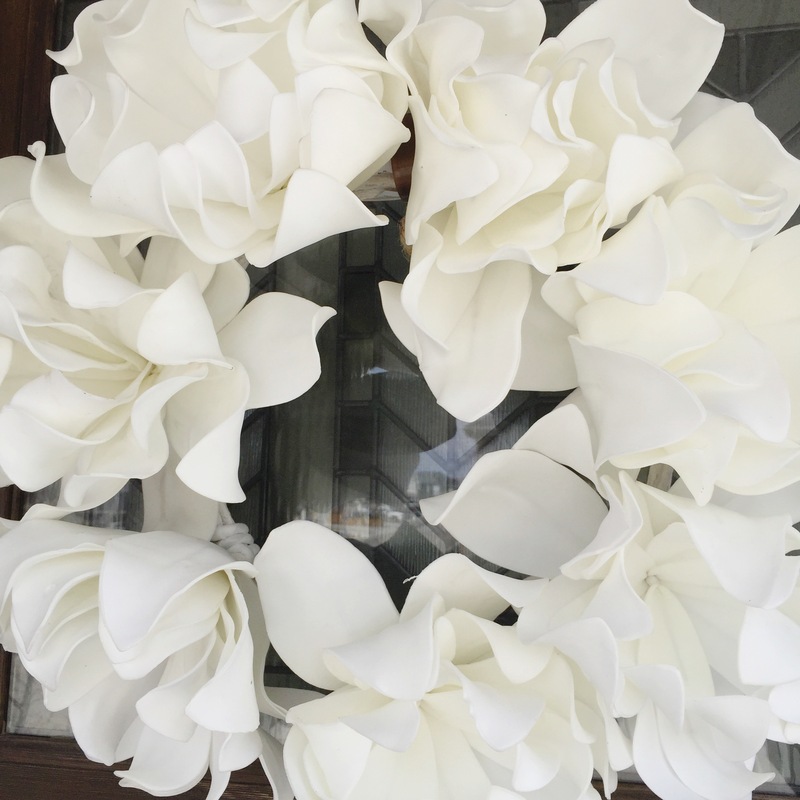 Using wreaths indoors can provide a nice accent to a bare space. 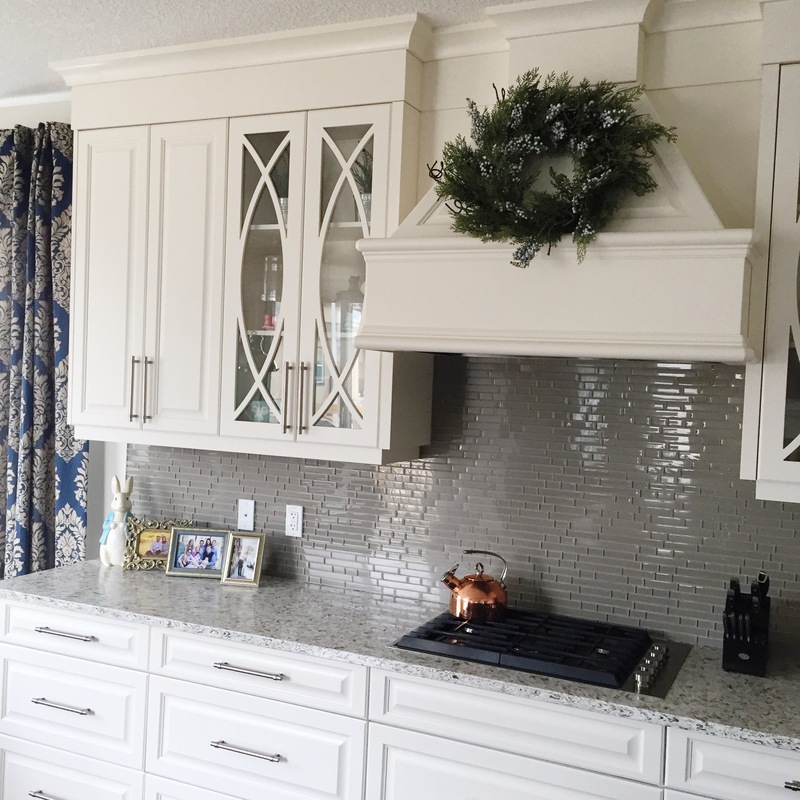 Whether you place one over a mirror, hang one in the window, prop it up on a mantel, or over a range hood it can make such a difference. I’ve repurposed my Christmas CANVAS Cedar Blueberry Wreath from Canadian Tire ($36.99 CAD) that you see on my range hood below. Since the greens aren’t too dark and it has some frosted berries in it I thought it worked well for spring too! Add some fun to any room with a pendant banner. 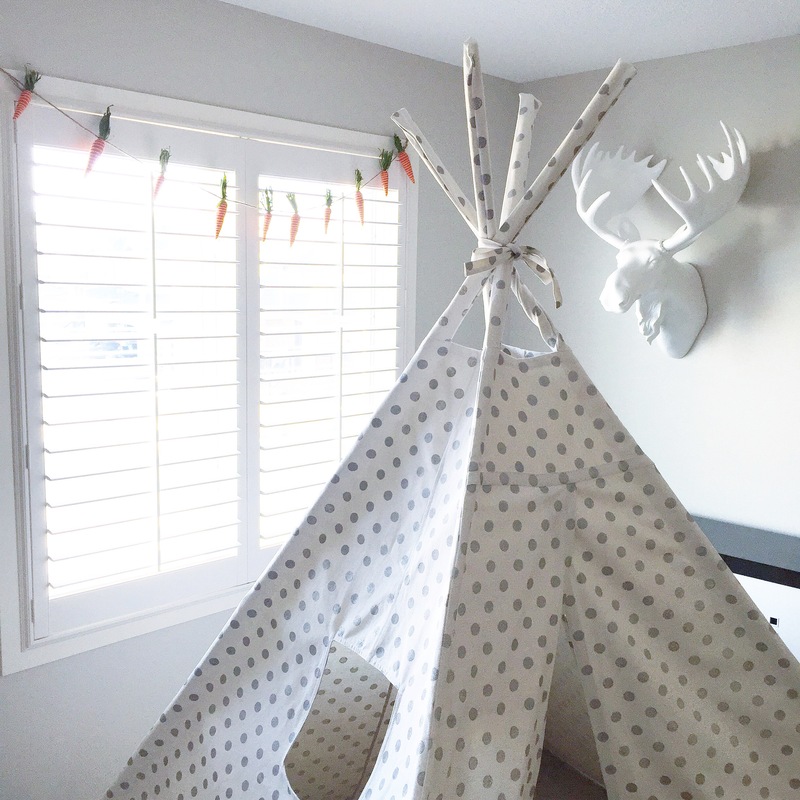 You can string it in a doorway, over a fireplace, around a teepee play tent, or even in a window. 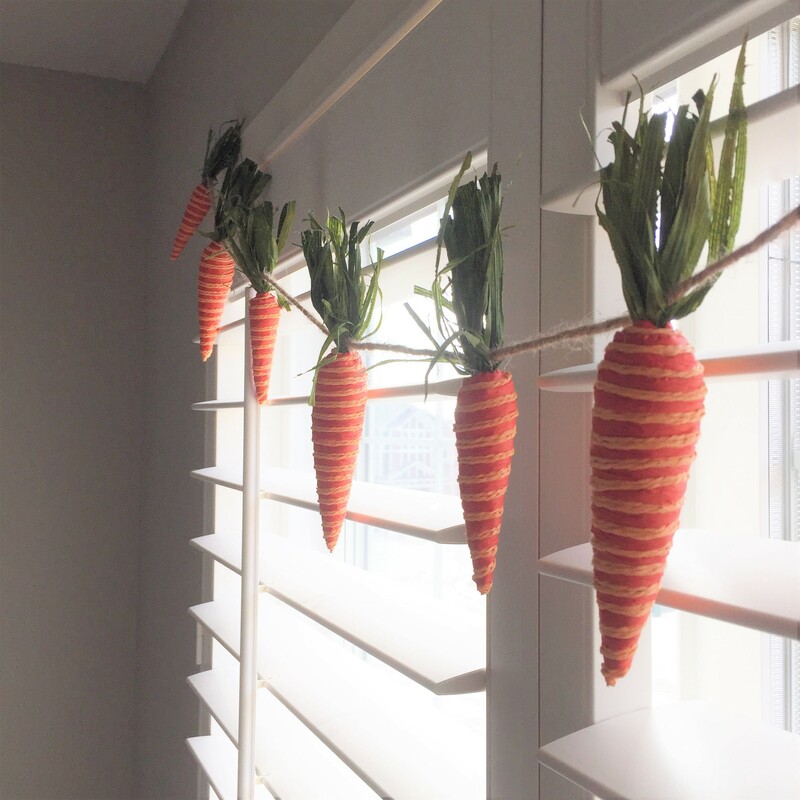 I found this cute carrot banner from HomeSense for $9.99 CAD this season and it’s the perfect way to add a touch of Easter to Luke’s playroom without having to make a banner myself. I’ve linked to some other cute ones here, here, here and here. Or you could try making your own out of a few bundles of this carrot trio. 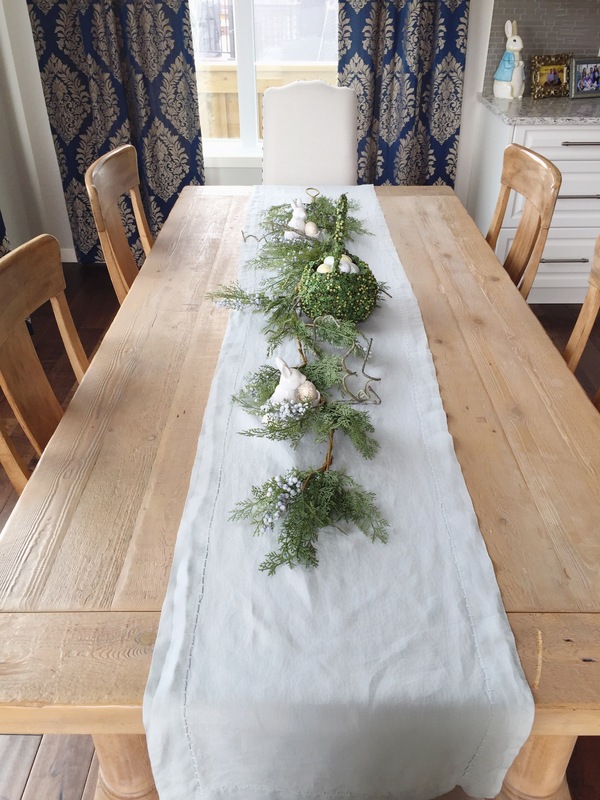 Having a little décor on the kitchen table for each season other than just a table runner can really make it festive. 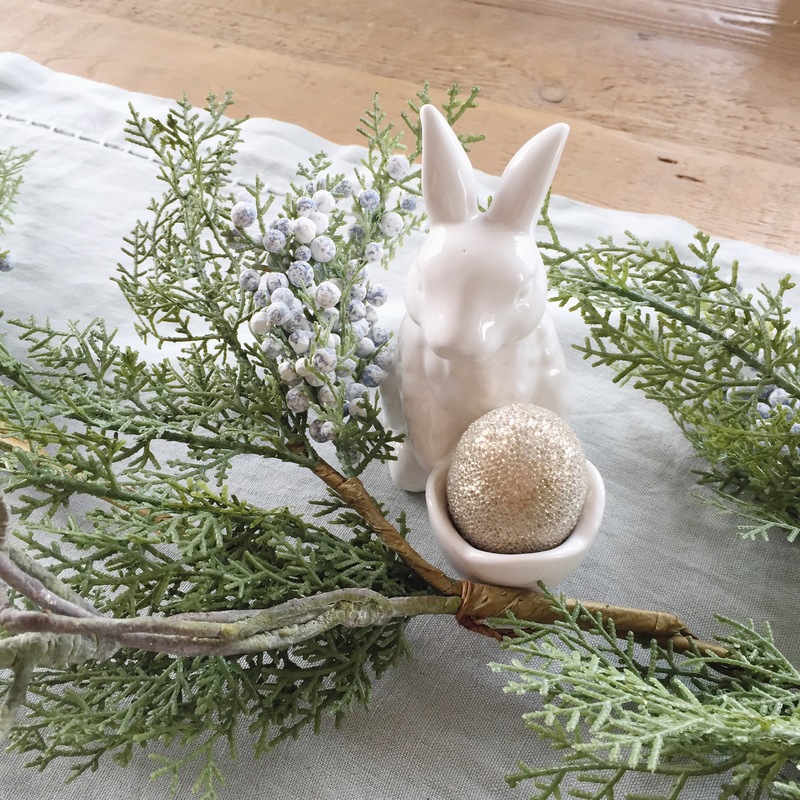 As a family of three, we usually eat at our kitchen island so it’s not a hassle to keep the table decorated because I don’t really have to keep moving it. 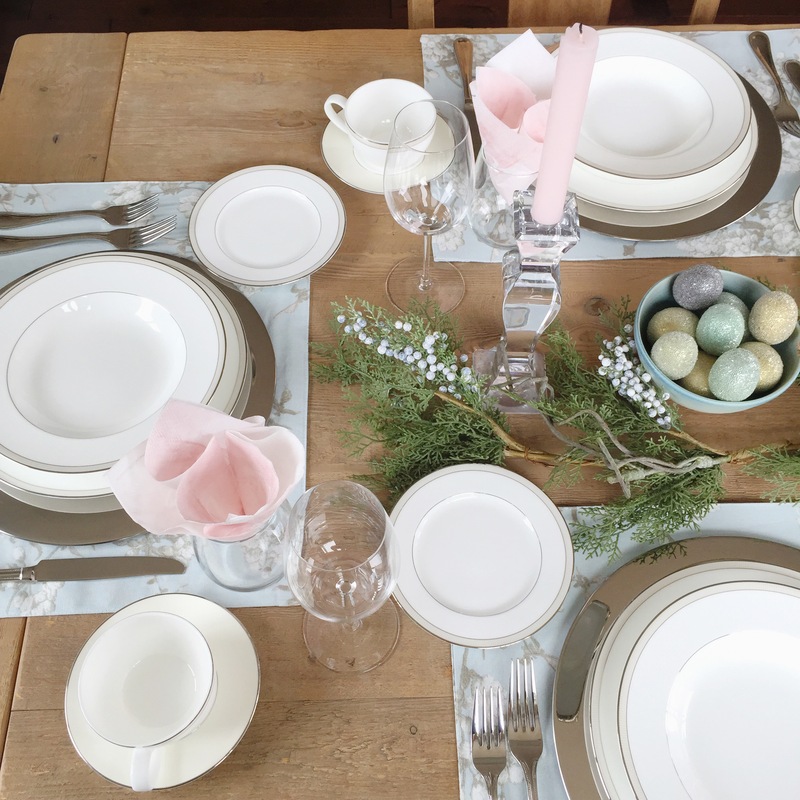 In order to get this look, I walked around my house and grabbed what I thought would work to make a pretty table setting. 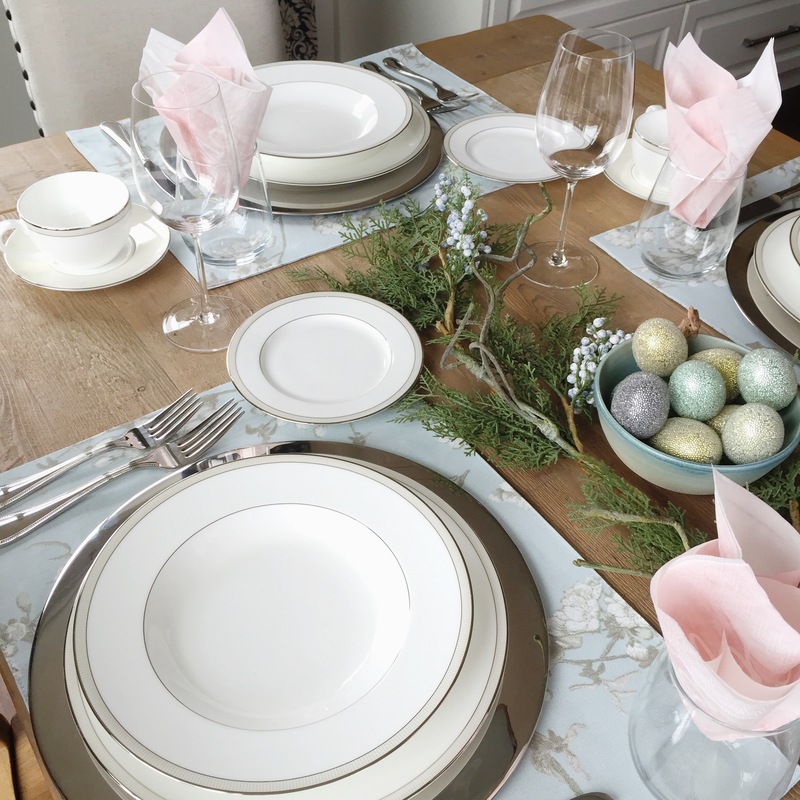 For example, the napkins are just some paper ones that I had leftover from Valentine’s Day and say ‘Love’ but I thought I could use them up for Easter. The dinnerware, glasses, silverware, and candlesticks are things I registered for when I got married six years ago. I went simple and classic because I thought it would take me further in the long run. The garland on the table is actually my Christmas garland which I’ve repurposed so that I could add some greenery to the table. 5. 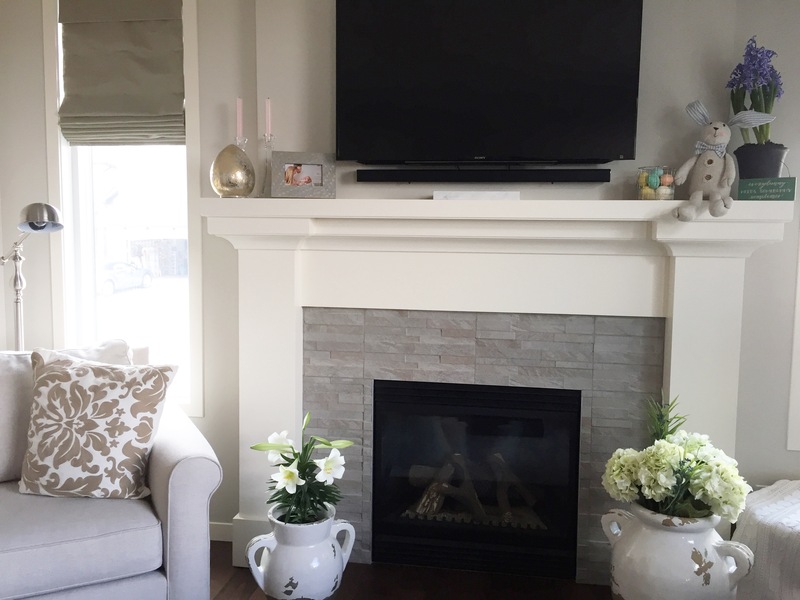 Dress Up the Mantel The mantel is the perfect place to showcase seasonal décor. 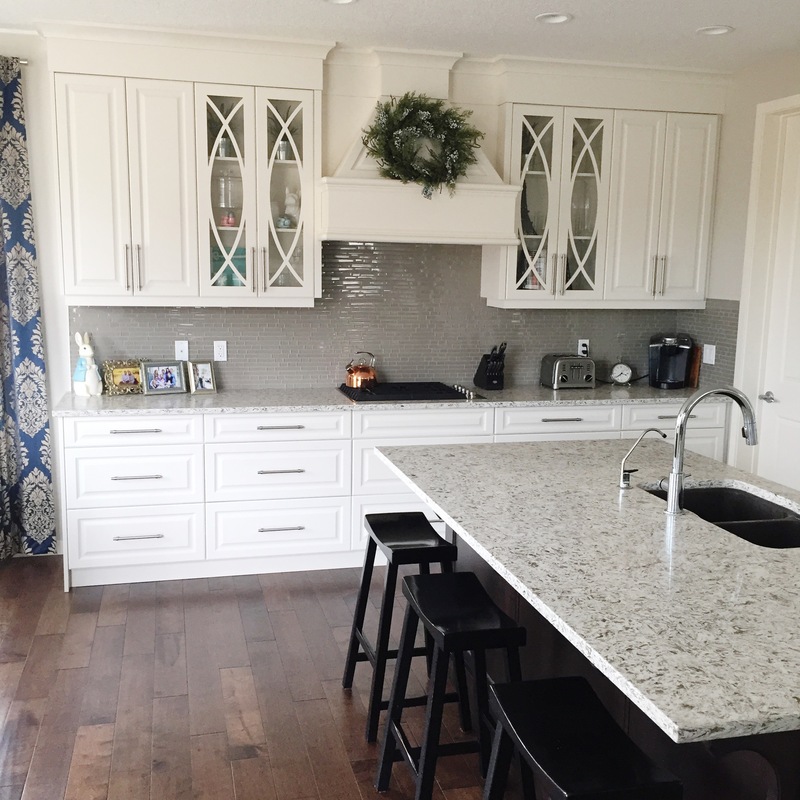 I start by shopping my own cabinets and closets to see what I can use from other seasons and restyle. I always make sure the décor I incorporate represents us as a family. 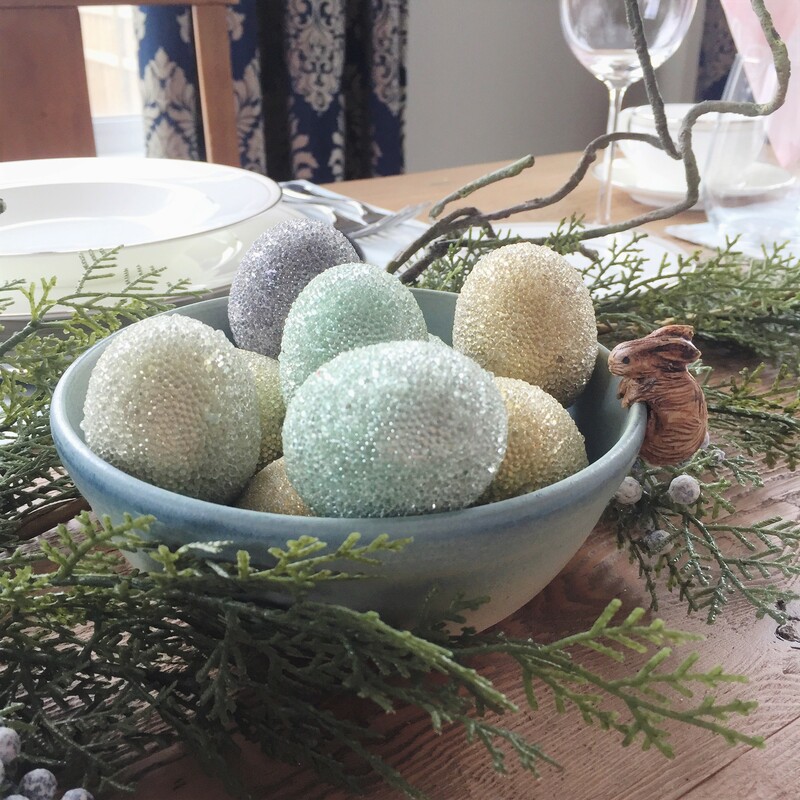 I love pastels so I knew I wanted to use soft colours and make it playful with cute props for Luke to look at…like the speckled eggs and stuffed bunny. 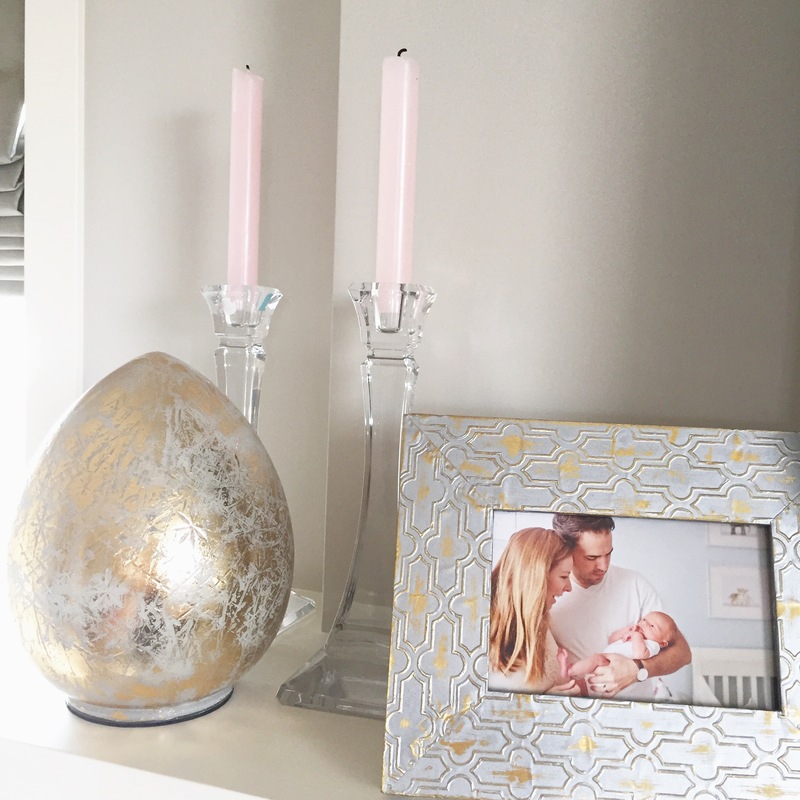 Hope some of these ideas help set up your space for spring!! 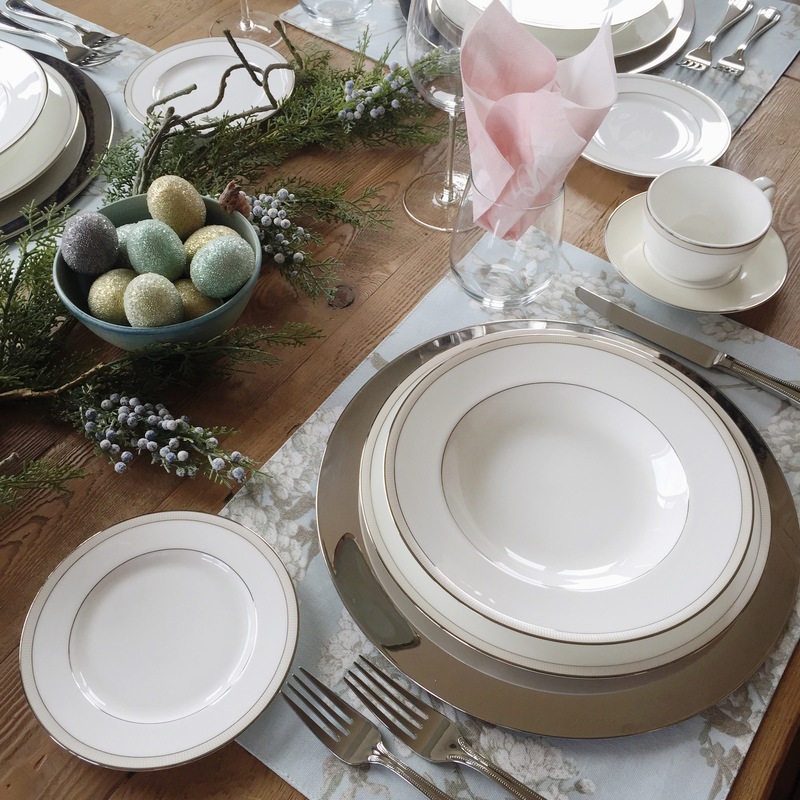 Remember – use what you have first, then go shop to fill in the holes if you need to. Hoppy Easter Shopping!